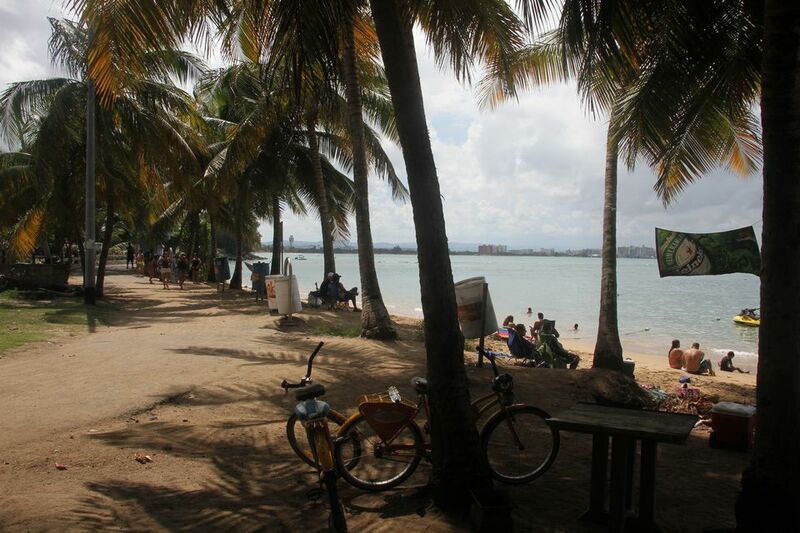 Piñones is an area just outside of San Juan, located along Route 187, which runs along Puerto Rico's north coast and connects San Juan and Loíza. In places, it's a very scenic road that shows you a more rustic side of the island. Do the words "alcapurrias, bacalaítos, pasteles, and empanadillas" mean anything to you? Probably no,t but these finger foods represent Puerto Rico's greasy, crispy, artery-clogging contribution to fast food. The locals love these snacks, which are meat- and vegetable- filled turnovers and fritters. You can get this stuff in San Juan, but it won't have the quaint local charm of Piñones. Plus, you have the added and significant bonus of being right on the beach. After a cheap beer, a few fried delicacies, you can walk down to the ocean, take a dip, and come right back for more. It's the easiest road trip you'll take. Head east to the end of the Isla Verde resort strip and follow the signs for the Balneario de Carolina, which is the large public beach in Carolina. Once you pass that, keep going straight on the road, which is Route 187, and soon you'll start to see roadside eateries. You don't want to come here at night, but during the day when everything is open, it's quite safe. Puerto Ricans from all walks of life end up at Piñones, and they're out here to have a good time. If you want to wing it and explore the area, you can get a taxi out to Piñones, but it's not a cheap fare. Another option is to go to Soleil Beach Club. This is a unique combination of fantastic fine Puerto Rican cuisine in the middle of Piñones' humble beachfront surroundings. Soleil Beach Club offers a free shuttle from most hotels in San Juan out to their restaurant, and they have great beach access in addition to a lounge area at their restaurant. If you can't shack-hop, this is definitely a good way to go.